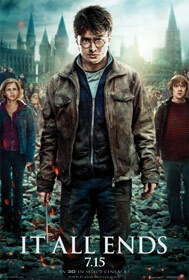 The Harry Potter Alliance turns the lessons learned from series into real world action. For the past week, the Muggle world has been furiously guessing about the details of JK Rowling’s new website, hinted at with a mysterious splash page that pointed to a countdown video on YouTube. 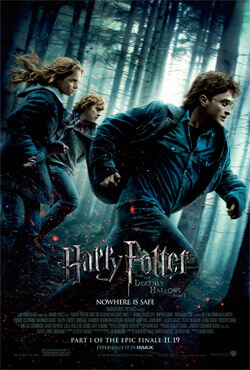 Today, Rowling released the details at press conference held at the Victoria and Albert Museum in London. “Pottermore has been a really great way to give back to the Harry Potter readership, who made the books such a big success,” she announced. 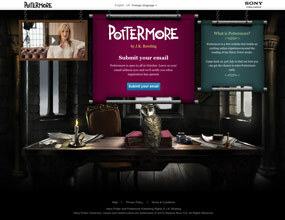 In a video screened at the conference, and now posted on the Pottermore home page, the author thanked her readers. “No author could have asked for a more wonderful, diverse and loyal readership.” Rowling then went on to explain the particulars of the site. 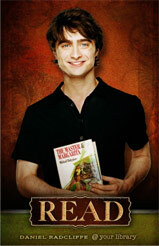 Daniel Radcliffe poses for ALA's series of Harry Potter Celebrity READ posters. The Guardian has proclaimed JK Rowling the winner of the last decade, as far as book sales go. The Harry Potter author dominated the bestsellers lists during the “noughties”, selling more than 29 million books, prompting the New York Times to create a new bestsellers list for children’s books, and racking up sales of over $360 million (£225.9 million). 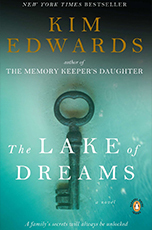 Though she characteristically shied away from the press, Rowling’s personal story became mythologized as well: A struggling single mother, toils away in obscurity on a story about a boy wizard, only to hit it big with her first published novel. Really, really big. 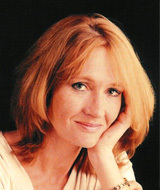 Though Rowling’s first royalty check for the UK publication of Harry Potter And The Philosopher’s Stone (published in the U.S. as Harry Potter And The Sorcerer’s Stone) was a meager $960.00 (£600), she was a millionaire just one year later. Thanks to the continued popularity of the Harry Potter books, movie franchise and merchandise licensing, Rowling is now reported to be worth about $1 billion (£545 million).